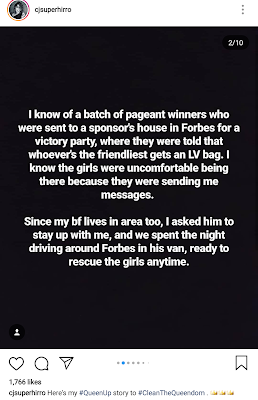 Wonder what P can say to this situation ..
Im sure she had her fair share but i think (i hope) hindi sa binibini, cause she wouldnt have to try three times to win if may padrino. I think BBP is stricter compared to other orgs. 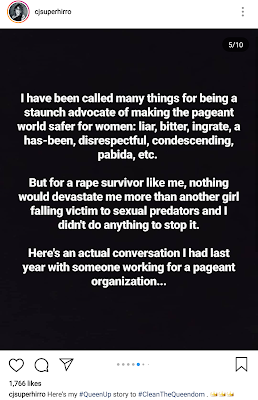 Woohoo thank you Miss Earth Canada for paving the way. 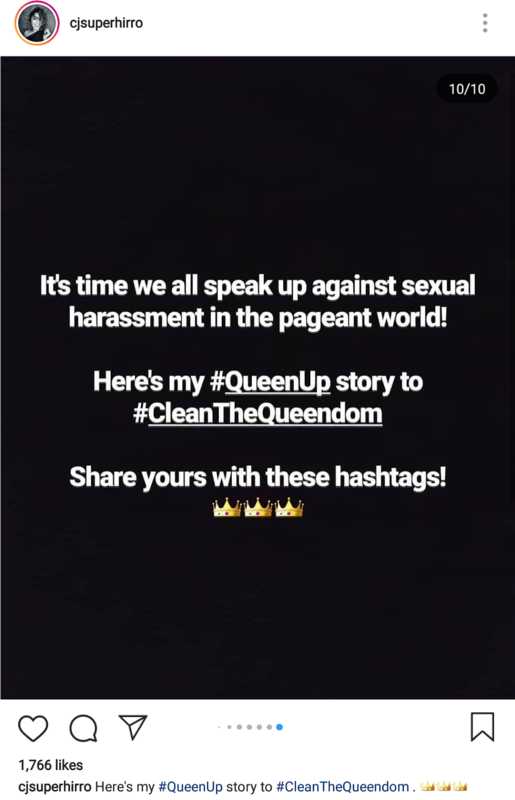 Sana madami pa mag speak up ng matapos na ang mga ganyan sa pageant world. And maprotektahan ang mga babae. Labanan ng patas hindi sa kung sino pinaka game. 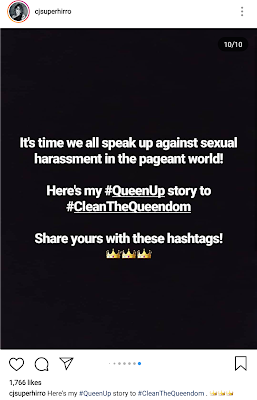 We should support her cause. This has to stop now. 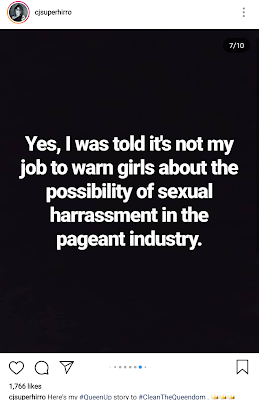 Yes, being paBIDA is not a bad thing especially when you're looking out for the welfare of others and clean up an organization/industry you love and participate in. 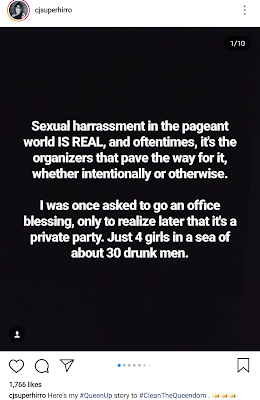 Bottomline is let's make every place a safe place, free from sexual predators and opportunistic assholes. 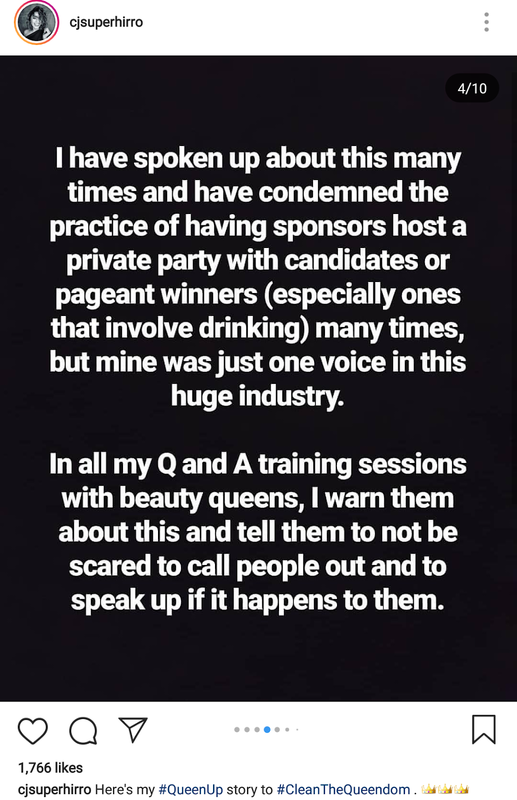 di ka nagbasa no 2:46. sa post pa lang ni camille may action points na eh! (facepalm) im sure anyone can think of a few more, it’s not rocket science to behave like a decent human being! 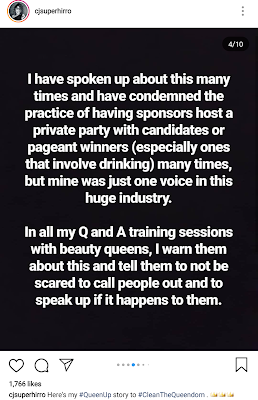 Pageants aren't about advocacies. They are money making ventures, not charity organizations. 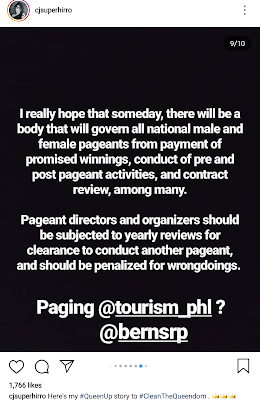 I agree too, let's just abolish pageants. Too much politicking, crown buying, sponsor/judge country biases, hatred and sabotaging against the Philippines especially indonesians and thais and some latinos, sexual predators etc., IBASURA NA YAN! 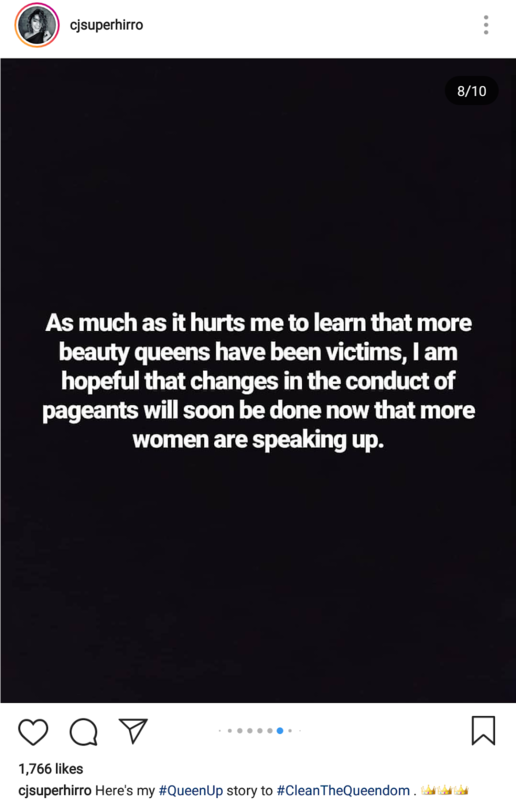 I hope beautiful, tall Filipinas will shift their attention to INTERNATIONAL modelling instead and be inspired and follow the footsteps of Kelsey Merritt. 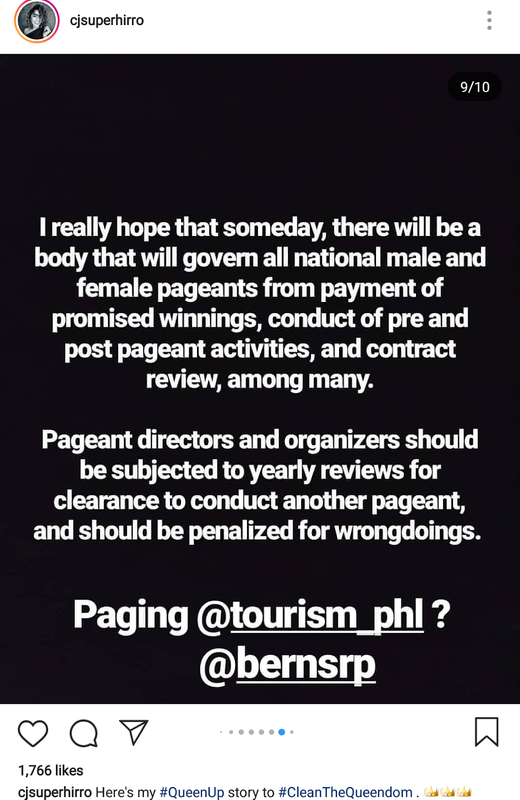 Yun ang totoong career unlike beauty pageants na mostly nganga sila after magcompete. 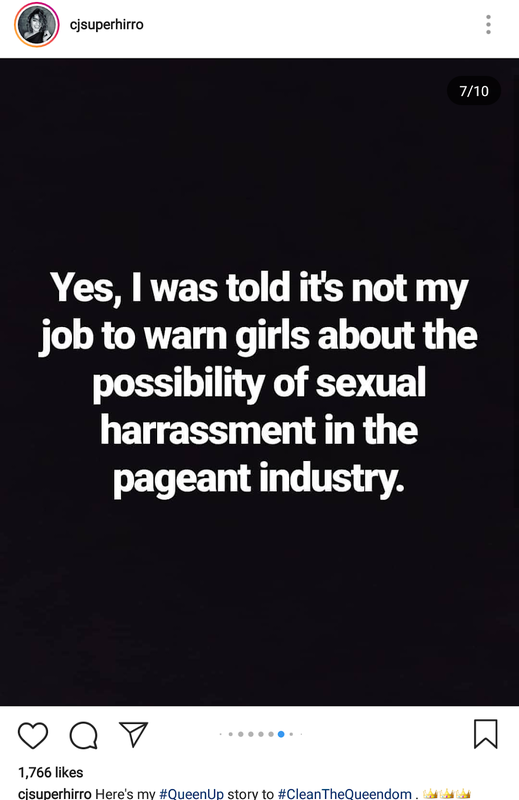 Kahit si Pia nowadays, medyo nganga... di parin makakuha ng role sa hollywood kahit extra. This is so disappointing and disgusting. 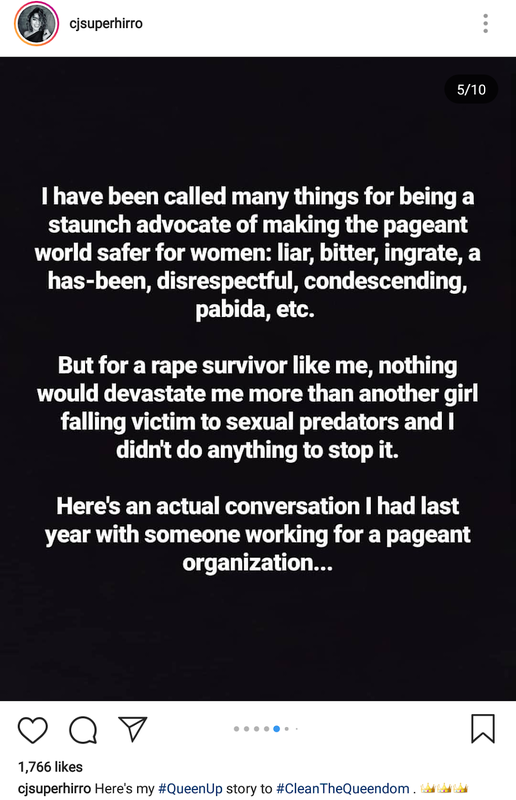 I can't believe how she was told off when all she wanted is to protect the pageant participants. 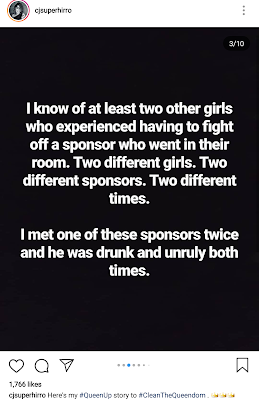 Sure, if it was mutual, let the contestant and whoever have their day. 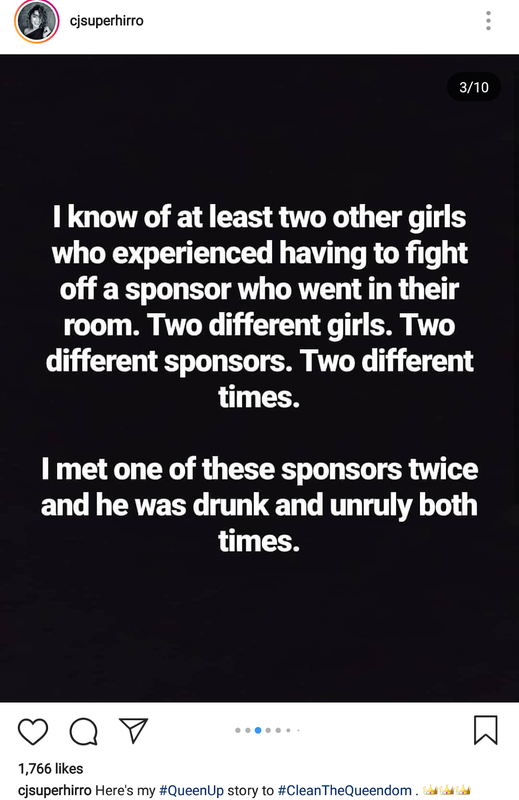 But most aren't willing to canoodle with the pageant sponsors. ang kapal din ng organizers ng mga yan. kala ba nila di sila mahuhuli sa age ng socmed and smart phones na kahit ano pwede i-record and ilang tap lang ng phone alam na ng mundo? Ah e 1:59 illegal yang bravado mo. Kulong yan! 2:44 yung victim pa ang dapat makulong? organizer ka no? 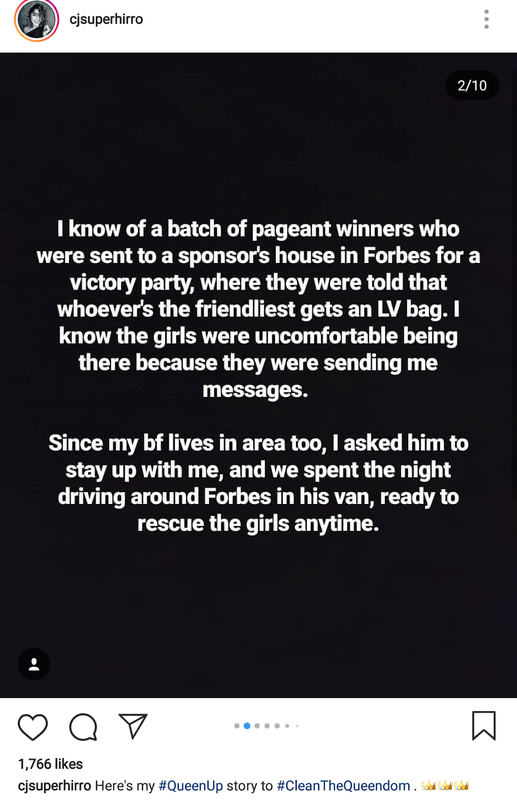 sa dami ng mga expose via twitter and IG? ayos ka lang? 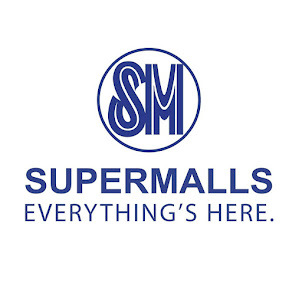 Kung gusto nyang makatulong, dapat pangalanan nya! Wag yung puro blind item, kasi nag mumukhang chismis! Hindi niya din kasi kilala. Nakikiingay lang. kung ikaw yan magiging ganun ka katapang para gawin un? It's easy to drop names but it's difficult to do so without hard evidence supporting your claim. Mere words are not enough, you need corroborating evidences. They will just file slander or libel against you if you can not support your accusations. True that, 12:29. Lalo na the burden of proof is with the accuser. 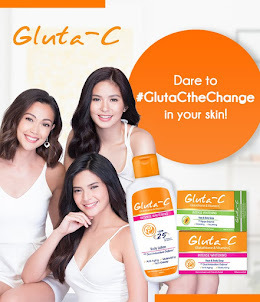 Dsyuko yung isang foreign na beauty queen dito na daw titira. LOL! Nakatikim lang ng DOM money kaya sya nanalo nuon kahit ang chaka nya naman, mas madaming pinay na mas maganda sa kanya. 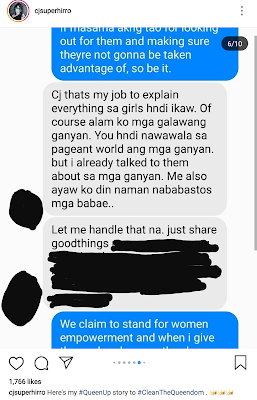 Gusto nyang ituloy-tuloy ang buhay reyna nya dito, prosti talaga! 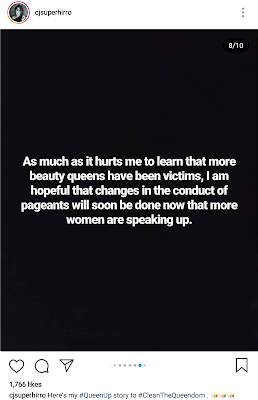 I-abolish na lang mga pageants na yan!